Officially, for the 2019/20 financial year, government will not be increasing income taxes. The only taxes set to increase are the indirect taxes: fuel levies, excise duties on alcohol and cigarettes, and the new carbon tax coming into effect on 1 June 2019. With these increases government estimates that it will raise an additional R1.2 billion. Yet, government’s plan is to raise an additional R15 billion in the coming financial year, mostly to fund the R23 billion a year set to be handed over to Eskom over the next three years. So where will the other R13.8 billion in planned increases come from? This is where it gets interesting. Even though government is not officially raising any income tax (income tax is expected to make up 41.3% of tax revenue), because of the phenomenon of bracket creep, government expects to raise R12.8 billion from income taxes, and the remaining R1 billion will come from not raising the medical tax credit. Bracket creep happens when an individual moves from a lower into a higher tax bracket due to an increase in salary to offset inflation. In previous years, government would adjust the income tax brackets upwards to ensure no one would pay more in tax while their income still bought the same thing. If bracket creep is not accounted for, it would mean the inflation-linked salary increase of taxpayers near the upper limit of a tax bracket would be eroded through taxes. Technically, the government has done a partial creep adjustment by increasing the threshold for taxable income from R78,150 p/a to R79,000 p/a, a mere 1.1% increase in the threshold. Leaving the medical tax credit unchanged means it has actually been reduced in real terms. The net result is that everyone who has income near the thresholds (including people who were not paying any income tax last year) will be paying increased taxes, and everyone who has medical aid (because the state healthcare services are atrocious) will also be paying more tax. The least government could have done is be honest about these tax increases. Instead, in effect, it is using inflation to avoid owning up to a tax increase during an election year. This is deceitful and a means to avoid democratic accountability for decisions taken by our representatives on our behalf. The worst thing about this stealth tax increase is that most of it is going towards funding the inefficient Eskom. 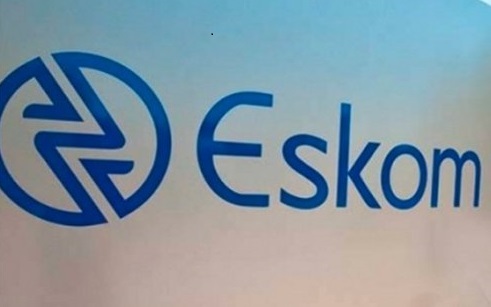 In the end it will likely be for nought since Eskom has displayed an inability to change for the better and still has more than R400 billion of debt on its books. Throwing good money after the bad that is Eskom is not a good justification for making hard-working South Africans poorer. The fact that government is taking more of the money you choose to spend on private healthcare makes it that much worse. The last point I will make is that taxes are likely to rise even further in the medium term. There is evidence that government has already passed the turning point of the Laffer curve (the point at which additional tax increases lead to less rather than more revenue due in part to a growing state crowding out the private sector), revenue collection has been suffering and targets keep getting revised downwards. There is also the fact that debt-servicing costs (interest on government debt) are projected to grow by 22.4% over the medium term from a projected R202.2 billion this year to R247.4 billion by 2021/22. Debt servicing costs are always paid for in taxes. When a country can no longer raise the necessary taxes, it has no choice but to default on its debt.